Located only a few hours from Canada (just minutes south of the Iowa-Minnesota border), we have sold many RVs to customers from Canada. For a Canadian citizen, buying an RV from Lichtsinn RV is almost as easy as if you were from the U.S.
A bill of sale for the RV, marked paid in full. A letter from the manufacturer showing no outstanding recalls. At the border, customs will collect GST based on the bill of sale totals, and you'll be on your way back home or to continue your travels! 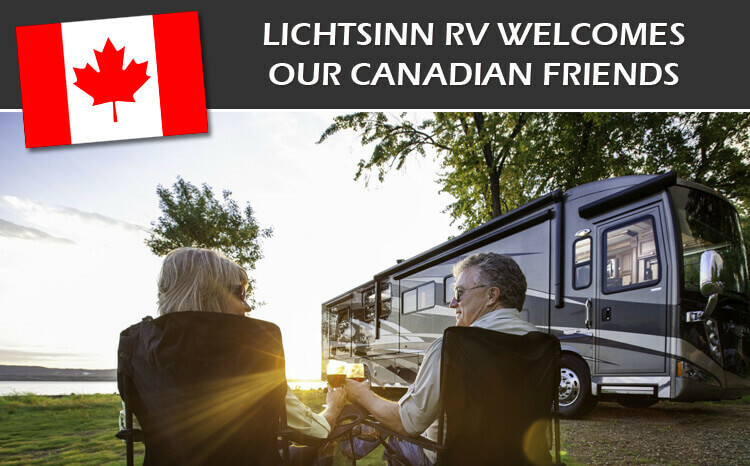 Customers from Canada enjoy visiting Lichtsinn RV because we are only 1 mile away from Winnebago & Itasca in Forest City, Iowa, and our Canadian friends often save thousands of dollars by making the trip to our dealership. We also deliver motorhomes to the border if you don't wish to make the short trip. 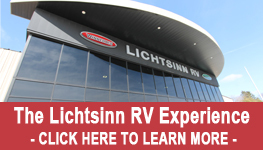 If you have any questions about purchasing an RV from Lichtsinn RV, please give us a call at 1-800-343-6255. See our FAQ page about RVing to and within Canada here.